An Introduction to Reiki and FREE Treatment! No one likes to go into a doctor’s appointment with no idea what to expect. We want to educate and inform our patients before they even come in the door–so they know what the treatment accomplishes, how it works, and what they themselves want to do before and after care in our clinic. Our newest provider, Jami Shetler, offers a service wholly new to BodyPoint Medicine, and we want our patients to understand our advanced and alternative treatment options. Reiki is a Japanese technique that promotes healing by reducing stress, encouraging relaxation, and replacing low or unhealthy energy with healing energy. Reiki is a cosmic, “life-force” energy, and when that energy within us is low, sickness and physical pain often result, due to depletion. During a session, the patient relaxes on a massage table while the Reiki practitioner administers Reiki with different hand positions, both on and above the patient’s body. The patient remains clothed, and relaxes with soft music, and often falls into a relaxed, meditative state during the session. The practitioner often uses crystals for their healing benefits around the patient’s body, and the aroma of essential oils to create a balance that is the most beneficial for the individual patient. The practitioner also uses Reiki symbols to break up foreign energy, and replace blockages with healthy energy. The patient may feel the practitioner’s hands grow very warm, or at times cold, depending on the energy needed in that area of the patient’s body. During the session, the practitioner will be in a meditative state, with her eyes closed most of the time, while she actively looks at the chakras and the alignment of the patient’s body, pinpointing areas of stress, foreign energy, and pain. Reiki treats the entire person, including the mind, the emotions, and the spirit. It has the capability to aid in the recovery of virtually any illness or struggle, with beneficial effects. It is not uncommon for a patient to report complete life changes and better moods feelings in general when keeping up Reiki treatments as a sort of maintenance. Reiki is safe and works well in conjunction with all medical and therapeutic treatments. It helps to alleviate side effects and promote healing. On Thursday July 2nd, Jami will be offering FREE Introductory Reiki treatments all day! Call ahead to reserve your time, but walk-ins welcome! 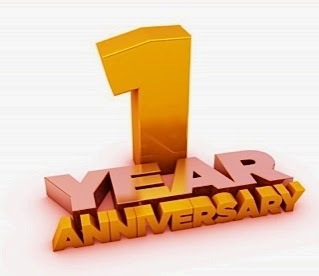 We are happy to announce that BodyPoint Medicine is ONE YEAR OLD! 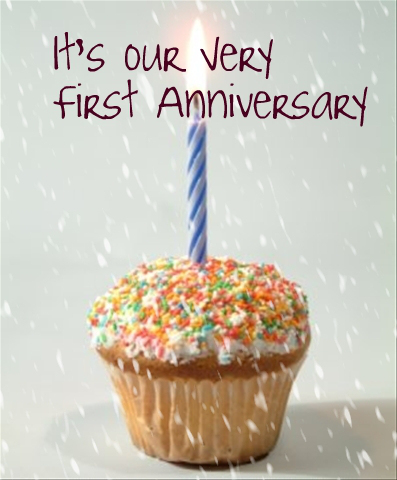 ….Aaaand because we are celebrating our first year, we want to give back to those patients who mean so much to us! 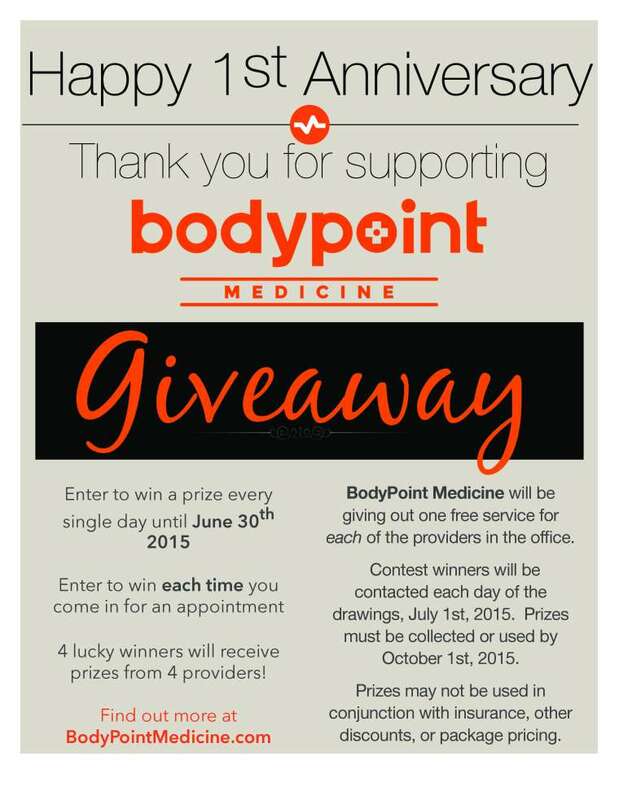 Each time you come into BodyPoint Medicine for an appointment in the month of June, you can drop your name in the hat for the July 1 drawing. Dr. Donna Fleitz Mitchell is a Board Certified Anesthesiologist and has been providing anesthesia care, acute and chronic pain management for the last 30 years. Dr. Mitchell holds a BA degree in Biology and a MD degree, both from the University of Louisville. She received a MBA from Auburn University. She has also served on the University of Louisville faculty where she taught in the residency program. Dr. Mitchell received her acupuncture training through the Biomedical Acupuncture Institute with extensive mentoring from Yun-Tao Ma, PhD and advanced study in Beijing, China at the International School of Acupuncture and Moxabustion. She has been providing integrated medicine to patients with acute and chronic pain conditions since 2005. With education in traditional medicine and integrated techniques, she believes that the best approach is create treatment approach which best suits the patient and the condition. She also feels that incorporating healthy eating, lifestyle choices and exercise are very important for long term health and well-being. She started exercising to get in shape after having children, so she is familiar with the challenges of work and fitting in exercise. Learning to swim and completing her first Ironman at age 51, she is well aware of the special challenges placed on aging body parts. 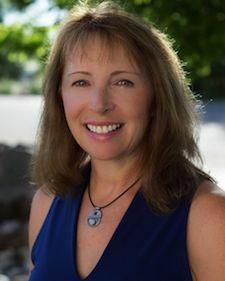 She is a Three-Time Ironman finisher, marathoner and an avid skier and cyclist, providing her with a unique understanding of an athlete’s injuries and training requirements. Dr. Mitchell is married with four children and resides in Niwot. She is an advocate in the treatment room, and encourages her patients to communicate what they are hoping to achieve with each of her body tune-ups. Shevone uses deep touch therapies to release trigger points without creating a pain reaction for clients by adapting range of motion movements into each massage. She prepares personalized pamphlets for each client to take home, filled with stretches and exercises geared towards each specific issue. At our office, we see many patients with spinal issues, some that have even required surgery, and these massages can help with ongoing pains or even scar tissue pain that can prevent people from having a full range of motion. 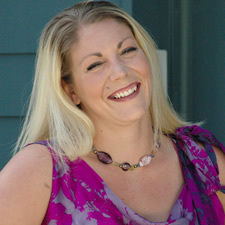 Jami Shetler is a Reiki Master and empath. Known by friends and family for her soft heart and gentle touch, one of her greatest passions in life is connecting people back to the Source, and removing stress and foreign energies from their lives, through Reiki. Since the age of four years old, she knew that healing was her calling in life, and she is passionate about learning and practicing healing methods, both emotional and physical. Jami grew up in the country with her sisters and brother on farms in Texas and Oklahoma, where she often nurtured sick and hurting animals back to health. In 2008, she and her family moved to Colorado, and she resides in Johnstown, where she raises her three, lively daughters. She is studying for her bachelors degree, and looks forward to being a counseling psychologist at the end of her school journey, as well as being a holistic healer for life. Rachelle Lambert has earned a Master’s degree in Acupuncture and Oriental Medicine, graduating from the prestigious school the Academy of Integrative Medicine at Austin. 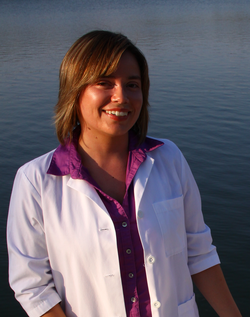 She is licensed through the Texas Medical Board and Colorado State as a Licensed Acupuncturist and Chinese Herbalist, and certified by NCCAOM as a Diplomate of Oriental Medicine. Over the course of her 4 year study, she learned special techniques in weight loss, dermatology, pediatrics, facial rejuvenation, and acupuncture orthopedics. Rachelle was fortunate enough to study in China at the Chengdu University of Traditional Chinese Medicine, and trained in a Chinese medical hospital. As part of her internship, she practiced acupuncture at Seton Williamson County Hospital in Round Rock, Texas. 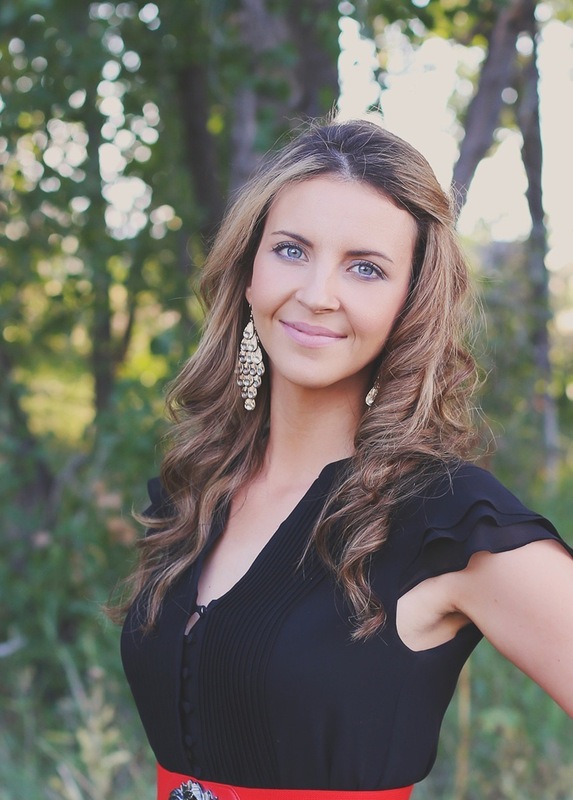 Rachelle spent time in 2010 and 2011 changing lives around the world on cruise ships. She has worked for Royal Caribbean and Celebrity, on ships including Splendour of the Seas, Eclipse, and Oasis of the Seas. She has a collection of testimonies that you may read proving fast and effective results. Rachelle is also involved with a research group at University of Texas at Austin. She published two articles in the Wellness Section of two L/G Style Magazines in 2012. Rachelle is also the Creator and Director of the First Annual Natural Living Festival, Austin, TX, 2014. Rachelle has post-graduate education in orthopedic acupuncture, with a certification from Lerner Education partnered with the Whole Foods Market Global Risk Team. 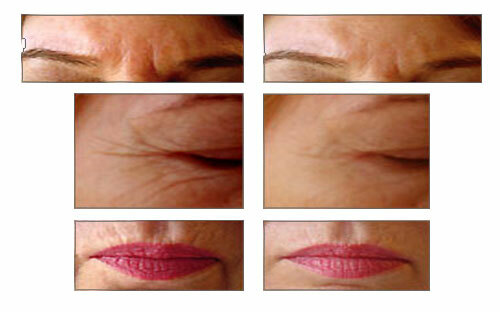 Rachelle is certified in Nefeli and Jamie Wu’s Facial Rejuvenation systems. Each of these providers will treat you with Reiki, Acupuncture, or Massage Therapy to get you feeling your best. Not only that, but our newest providers, Rachelle Lambert and Jami Shetler, are offering fantastic discounts on initial appointments with new patients!